Vumi Msweli: Live within your means and downsize your spending habits. Vumi Msweli is an executive Life Coach specialising in financial coaching. She is also an entrepreneur and Executive. She was selected by the Mail and Guardian 2016 in the 200 most influential young South Africans under the age of 35 as well as the Elle Corporate Boss of the Year. 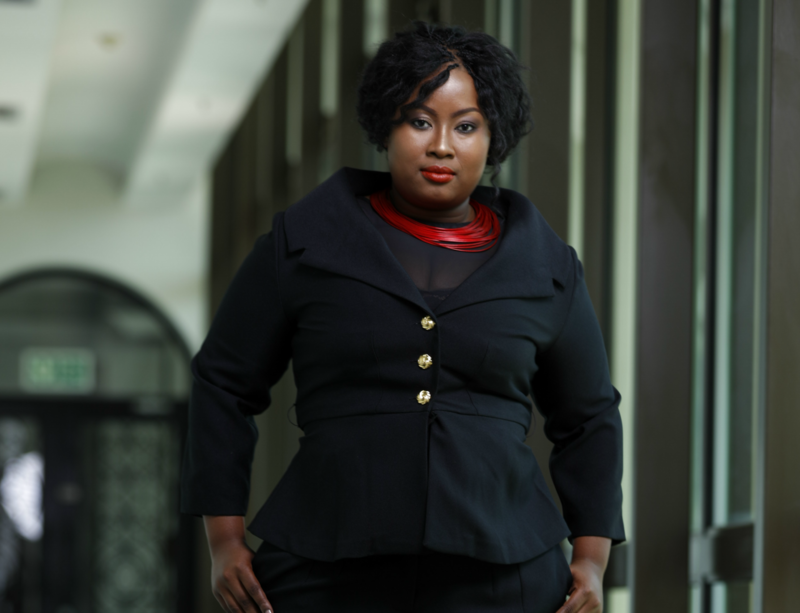 She holds a Bachelor of Commerce: Accounting Sciences from the University of Pretoria, an Honours Degree in Financial Planning from the University of Johannesburg and an MBA from the University of London. In this interview, she talks to us about her money habits. In this economic climate, have you downsized your lifestyle at all? Like most South African’s I have had to tighten my belt. I have made amendments to my lifestyle such as entertaining more at home as oppose to dining out, taking lunch to work, connecting with friends at home more than going out. I conduct a quarterly financial review to see where I can save money and invest better. Out of all your responsibilities (bills, groceries, etc) , what do you find to be the most expensive nowadays? I think for me personally with regards to groceries I have definitely seen a spike in expenditure. How did your childhood influence your attitude towards money? At home, I was taught that sometimes I have to sacrifice certain things now so that I can enjoy life later. My family focused a great deal on savings and investments whilst sticking to a budget in order to achieve long term financial goals. This gave me a desire to always spend less than I earn and treat myself every time I reached a financial goal. How do you deal with financial setbacks when they happen? I quickly amend my financial habits to adjust to the new situation I find myself in. I then seek help from an expert. Having a setback can be overwhelming but by having a chat to my financial coach we create a practical plan which helps to put me back on track. I then try to be patient with myself during this time. Do you have a budget and why is budgeting important ? Yes I do. As a certified financial planner, I like to keep a close eye on how I spend my money to ensure that I can account for the unexpected expenses that occur as life incredulously tends to happen. What's your advice on creating a budget that you actually can keep? Pull your last 3 months bank statements and table on your spread sheet your existing spend. Be careful not to judge yourself too much as you write down your budget, then reduce the luxury expenses, increase savings by finding practical ways that work for your situation. Have there been times where you’ve experienced money blocks or conflicting feelings about money? And how do you deal with that? Yes, I am a big believer that money is an energy and responds to me how I respond to it. I try to overcome these blockages by changing my attitude and reading literature that discusses money principles or read about people who have been in financial challenges and managed to turn their finances around. Books like Think and Grow Rich as well as The Richest Man in Baylon are my firm favourites. Do you invest and why do you think investing is so important to securing a solid financial future? Yes I invest and have a diversified portfolio to hedge my risk. I invest in property, equity and currencies . What's your advice to people who want to start investing but are overwhelmed? What are some good ways to enter the game? 1.) What are your financial goals for investing? 2.) How long would you like to invest for? 3.) What is your appetite for risk? 4.) How much are you looking to invest and will this be a lump sum or monthly amount? Once you decide on these factors you can then see which financial instrument is best for you by chatting to a financial advisor or institute. How do you define financial independence? Financial independence for me is the ability to freely make decisions that add to your financial liberation. It is when your income exceeds your expenses and your assets exceed your liabilities so you in essence have a positive cash flow. Financial independence is when you understand that debt is a tool that you can use to create wealth and not a tool to enslave you. If you have the choice between buying a home or investing in shares, which would you choose and why? I would choose shares. A primary residence home doesn’t generate revenue for you as it is your primary residence and you won’t receive rental income from it. The benefit you get will be to increase your net asset value if you purchase a home to live in. On the other hand, shares often yield dividends increasing cash flow as well as increase net asset value. But between investment property and shares as an investment, I would undoubtedly choose investment property. Do you save for retirement and why? Yes I do. I don’t want to be a financial burden to my family and to society when I am older. I want to be able to enjoy my retirement as a financially free senior citizen who isn’t dependent on government pension. I want to enjoy the quality and standard of living I do now as a retiree and to do that I must save for retirement. Why do you think so many of us get into such unnecessary debt so easily? I think it’s a lack of knowledge and understanding that debt is meant to be a financial tool not a crutch. You are supposed to use debt to build yourself financially. Debt was not meant to be something which you cannot financially function without. And another problem is we delude ourselves as being able to afford a lifestyle when it's being funded by debt. Have you ever been broke and how did you deal with it? Yes I have. I quickly accepted my reality, noted what had brought me here and was cogniscant of the lesson to improve my financial behaviour going forward. I am a girls’ girl so my weakness is handbags and shoes. I am almost powerless when I see a great pair of heels. What was the last item you regret buying? A gorgeous grey Blazer that I bought online that doesn’t fit. What financial mistake has taught you the biggest lesson? I learned that I should always have a 6 months' worth of emergency savings salary saved. I was once forced to remain in a job that I didn't enjoy because I didn't have back up savings and this impacted my health. This was a very expensive lesson to learn. I encourage the readers to always save so that when they need to they can say, "no thank you" and leave, be it a job or a relationship. Do you have rules for lending money to family and friends? I will only lend money when I am comfortable with not getting it back. Do you have favourite go-to methods for earning extra income? You seem like someone who's pretty passionate about all things finance. Why do you think it's important for women especially to stay up to date on financial news? What do you say to women who feel overwhelmed by their finances? Mntaka Ma Take a deep breath, face the man in the mirror and go back to basics. Ask yourself these questions: what are my financial goals? What do I need to do? What is my plan to achieve it? Then spend less than you earn, live within your means and downsize your spending habits.